Though the government noted that “groundwater in major parts of the country is potable”, it underlined the contamination in many parts due to presence of one or more toxic elements. 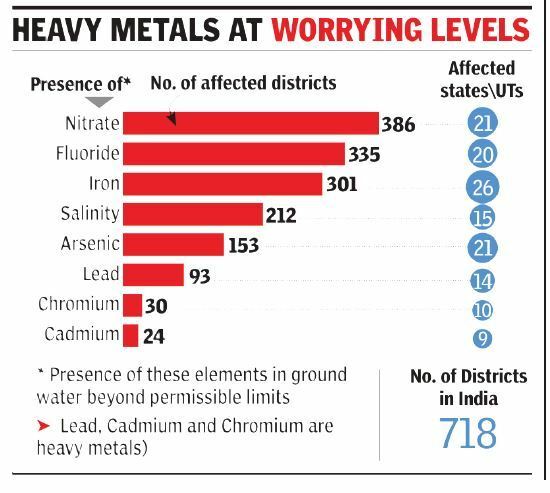 “…some parts of various states are contaminated by salinity, arsenic, fluoride, iron, nitrate and heavy metals beyond permissible limits of the Bureau of Indian Standards (BIS),” said minister of state for water resources Arjun Ram Meghwal. Reacting on the extent of contamination, he said, “The whole problem is basically related to GW management. We need to firstly acknowledge that GW is India’s water lifeline. Secondly, we need to ensure protection of recharge systems. Thirdly, we need to create artificial recharge mechanisms.